Beston Machinery has various biochar production equipment for sale. We currently offer both small and medium scale biochar production units, as well as engineering services to design and manufacture larger capacity biochar production facilities. Our biochar production equipment can recycle various biomass wastes into something useful. The raw materials cover straw, bamboo, rice husk, wood chips, sawdust, palm shell, coconut shell, etc. While the products include biomass charcoal, tar and wood vinegar. 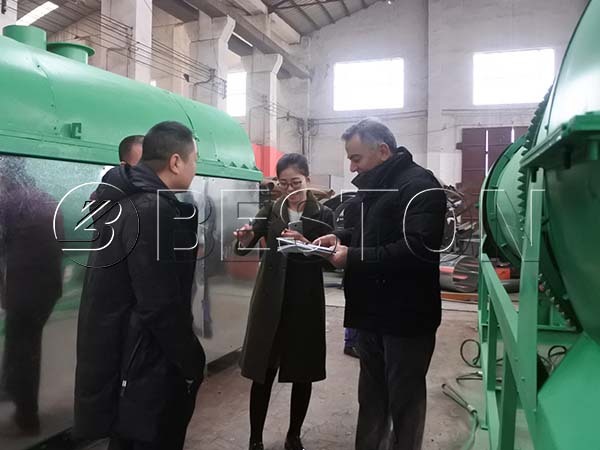 Due to the wide application and huge market, our biochar pyrolysis equipment has been exported to many countries, such as South Africa, the Philippines, Uzbekistan, Malaysia, Australia, etc. Moreover, in order to make sure your handsome returns, Beston will provide you with the best biochar production equipment price. Welcome to contact us! The smaller scale biochar making machine is BST-05, producing about 500 kg of raw materials per hour. While if you want to start a larger biochar charcoal production plant, you can choose our BST-10, BST-20 and BST-30. The output can reach up to 3000 kg/h. Our biochar production equipment can process a wide variety of feedstocks, including straw, rice husk, wood chips, sawdust, palm shell, coconut shell, etc. Here are more parameters for your reference. Beston always aims to optimize our biochar production system in the most economical way possible to maximize customers’ profitability. In this regard, we have developed a special design for this device. Here are some features of our biochar machines. 1. Continuous operation 24/7. Our machine has been designed to work contentiously. And it is easy and safe to operate. 2. Being used for a variety of feedstocks. 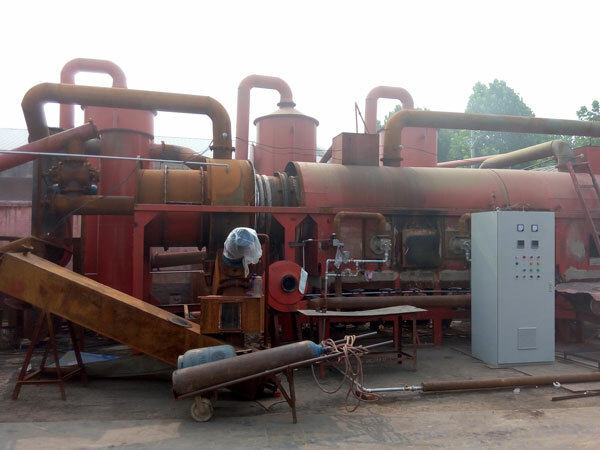 The biochar production equipment is suitable for different kinds of raw materials, such as straw, bamboo, rice husk, wood chips, sawdust, palm shell, coconut shell. 3. Producing a wide variety of co-products. 4. Energy-saving. Beston has develops a patent technology to fully utilize the combustible gas during heating or manufacturing processes to save energy. That is to say, once started, this kiln is self-sufficient in terms of energy. 5. High productivity and quality. In general, we can get three kinds of useful resources through the biochar production process, namely, charcoal, tar and wood vinegar. All the three products can be widely used in many industries and will bring great profits. The biomass charcoal is widely applied as fuel for industrial melting as the replacement of non-renewable energy. In addition, charcoal is also popular in our daily life. For example, we can use it for barbecue. Moreover, it is also a kind of fertilizer to improve the quality of soil because it contains rich micro-elements. While if you want to improve the value of the charcoal, you can reproduce it as activated carbon for sale. There are over 300 kinds of chemical elements in tar. Hence, it is an important chemical material. In general, people can use it for waterproof materials. Besides, it also has wide applications in medical industry. Wood vinegar is often used in food preservative, medicinal sterilization and anti-inflammatory or the treatment of skin disease. The whole biochar production process mainly contains five sections. 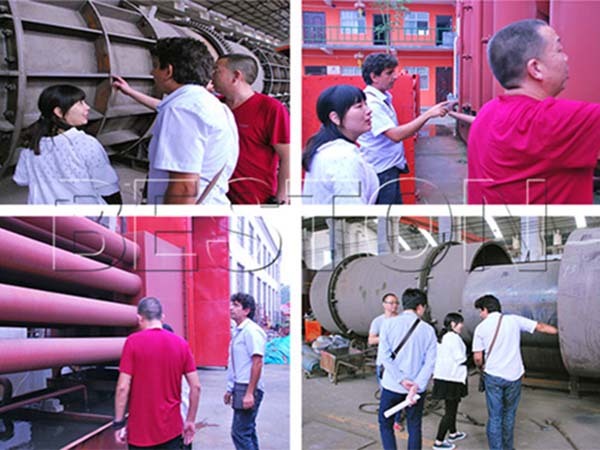 They are pre-treatment, carbonization or pyrolysis process, smoke discharge, sulfur emission and charcoal enrichment. The entire process is continuous and efficient. If the moisture of biomass materials is more than 20%, we also need to dry the crushed biomass first to improve the working efficiency of biochar reactor. To be exact, this is pyrolysis process. 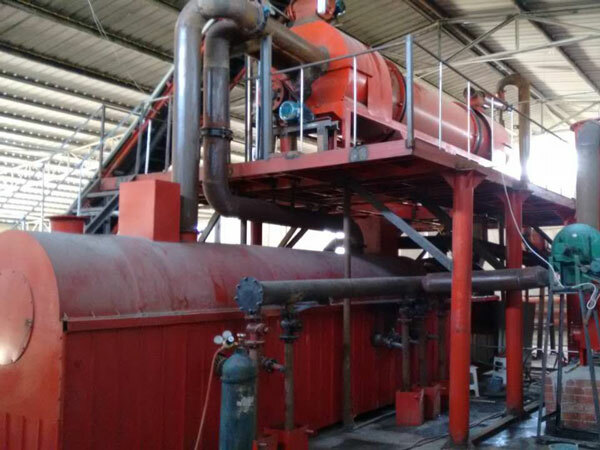 That’s why the equipment is also called as biochar pyrolysis machine or plant. 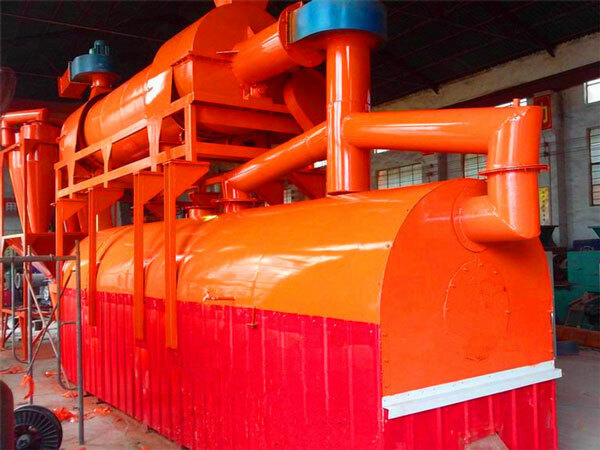 Beston biomass carbonization plant is automatic and continuous. We employ a screw conveyor belt to send the raw materials into the biochar reactor for pyrolysis process. 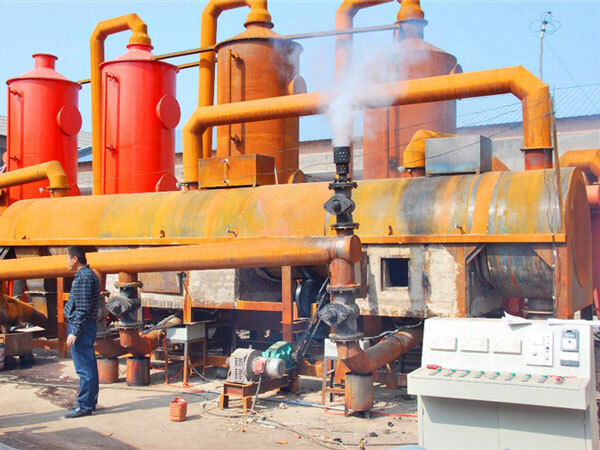 In addition to the top-quality biochar furnace, we also employ a powerful purification system in our charcoal making machines to remove the sulfur. More importantly, we have developed a patent technology, namely, “one fire with two steps”. On the one hand, we will purify the combustible gas through the dedusting system to remove the sulphur and other harmful components. Then the tar and wood vinegar will be extracted from combustible gas and stored in different tanks through the condenser system. Meanwhile, the combustible gas will be reused as the fuel to heat the biochar reactor and dryer device. In this way, you can save much energy while without pollution. Because the hot charcoal is over 100℃, we usually use the cooling system to lower it to 30℃ and then collect biochar directly. The biochar can be sold directly as fuel or additives. While we can also equip with some forming machines according to the demands of customers, which can process charcoal into balls or strips. While the processed biochar can be sold at a higher price. What Do You Need to Know When You Looking For A Biochar Production Equipment for Sale? 1. Size. In order to improve the working efficiency and save energy, the size of biomass materials should be smaller than 50 mm. 2. Moisture. When the moisture is less than 20%, you can get the greatest charcoal output rate with less energy consumption. 3. Available Energy. Most traditional fuels, such as wood, coal or natural gas can be used for pre-heating. Then our biochar production system can be self-sufficient. 4. Temperature. The temperature of the biochar reactor is 400-600℃. The higher the temperature, the faster the carbonization speed, and also the larger production yield. 5. Carbonization Rate. Generally speaking, the carbonization rate will be different with different raw materials, temperature and many other factors. But it ranges from 4:1 to 3:1. Our biochar production equipment for sale is covered with a reliable casing outside. For one thing, it can well maintain the temperature inside the biochar furnace. For the other thing, it can prevent workers from the high temperature to keep them save enough. Our dusting system consists of cyclone dust collector and spray dust collector. Hence, the exhaust gas out of the carbonization furnace can be completely purified in line with EU emission standards. We have installed a cooling system to cool down the charcoal firstly and then discharge the charcoal safely. Especially, our multi-channel water discharging system can quickly lower the temperature down to avoid the charcoal spontaneous combustion. PLC controlling system is widely used in the biochar production equipment for sale. It is intelligent, safe and efficient. The entire biochar production system is sealing to ensure you have a clean workshop and safe production process. 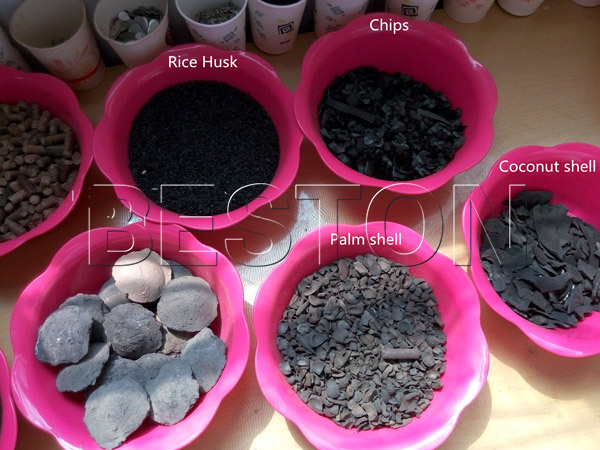 Except for the high-quality and special design of biochar production equipment for sale, Beston also offers the best service. For example, we have a rich exporting experience to make sure the fast delivery. Moreover, you can get our professional technical support all the time from pre-sales to after-sales. So just contact us right now!